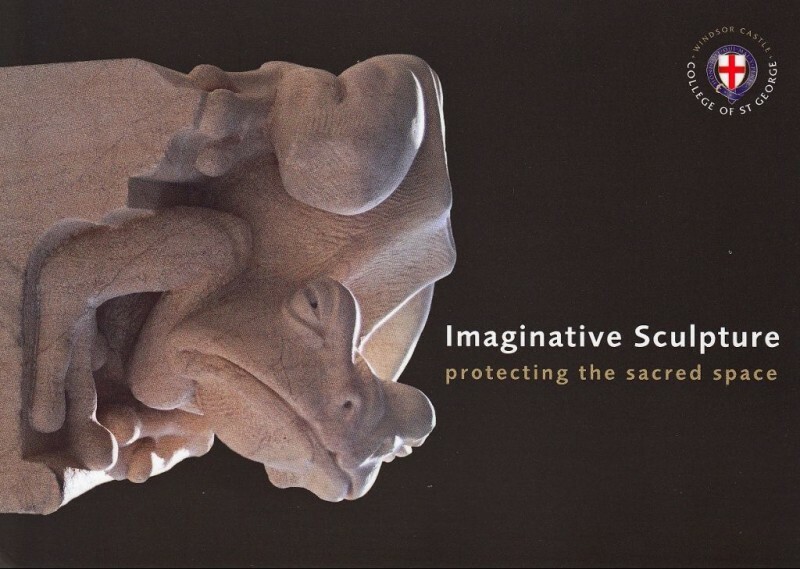 The Exhibition ‘Imaginative Sculpture: Protecting the Sacred Space’ at St George’s Chapel, Windsor, showcases a selection of ten new grotesque sculptures and the history of the collaborative project between the City & Guilds of London Art School and the The College of St George. We are now in the 10th year of this collaboration, which has seen the production of about 40 new carvings by students of the Art School’s Historic Carving Department, to replace heavily eroded Victorian grotesques which in turn had substituted medieval carvings of unknown design. Some of the new carvings have already been hoisted in place and recently thirteen new grotesques have been installed on the south front of St George’s Chapel. The exhibition will normally be open Monday to Saturday 10am to 4pm until December, in the Dean’s Cloister (at the exit from St George’s Chapel).